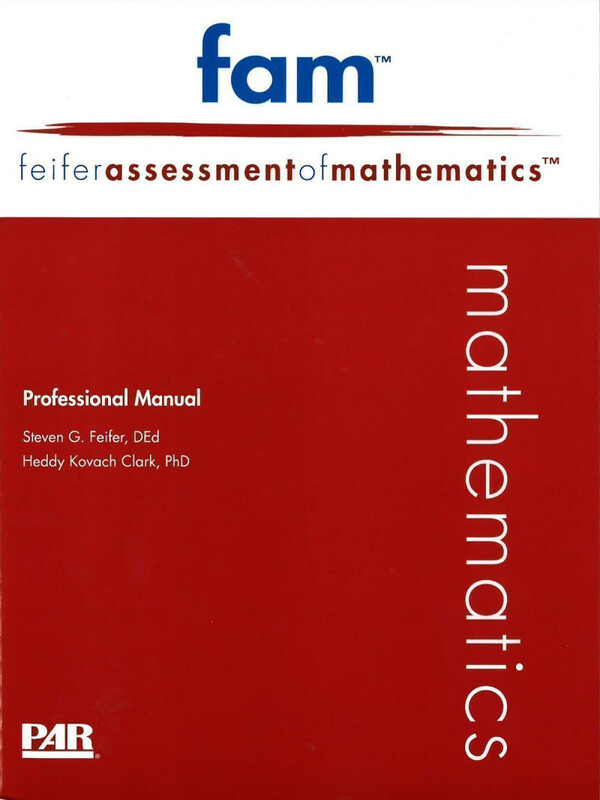 The FAM is a comprehensive assessment of mathematics designed to examine the underlying neurodevelopmental processes that support the acquisition of proficient maths skills. It not only helps determine if an examinee has a maths learning disability (MLD) but also identifies the specific subtype of dyscalculia, which better informs decisions about appropriate interventions. 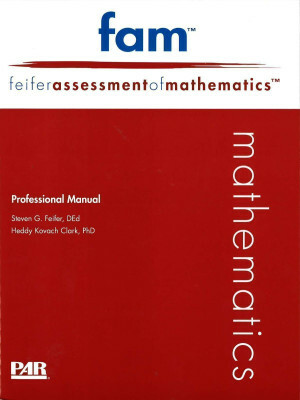 Comprises 19 individual subtests measuring various aspects of maths fact retrieval, numeric and spatial memory, perceptual estimation skills, linguistic maths concepts, and core number sense development. Assists practitioners in not only determining the presence of a general maths learning disability (MLD) but also in determing the specific subtype of dyscalculia in order to better inform intervention decision making. Can be used in conjunction with more traditional achievement tests (e.g., the AAB) that measure overall maths performance. A separate Screening Form, ideal for progress monitoring, permits you to screen for dyscalculia and MLD and to identify the needs of at-risk students. The Verbal Index score is a measure of automatic fact retrieval and the linguistic components of maths. Examinees in reception take nine subtests, examinees in Year 1 to Year 3 take 14 subtests, and examinees in Year 4 to university take 18 subtests. Subtest and index scores are scaled to the familiar IQ metric, wherein the mean is set to 100 and the standard deviation to 15. Standardised on a sample of 1,061 examinees drawn from more than 30 states and based on 2013 U.S. Census statistics. Designed to identify children at risk for dyscalculia or an MLD within an RTI delivery system model. Measures the underlying cognitive and quantitative processes that underscore the development of mathematical achievement in a manner that best informs decisions about appropriate interventions. Comprises three subtests—one from each index—selected as the best representation of each domain based on clinical research and statistical analysis. Yields a single index score that indicates risk for dyscalculia or an MLD. Intended to assist users in deciding whether the risk of dyscalculia or an MLD is high enough to warrant further assessment.